High cycle stability through enhanced plate construction. 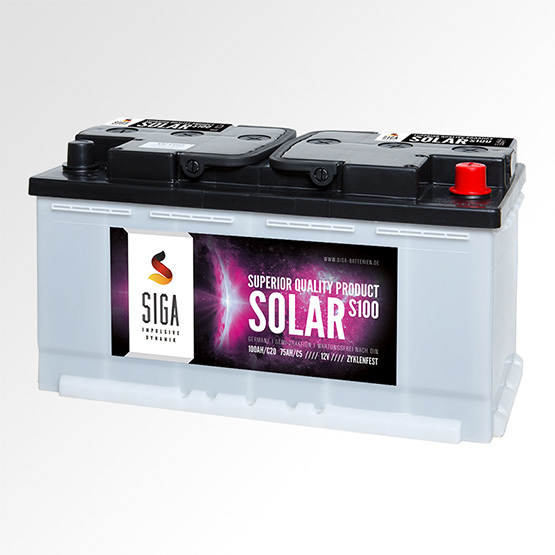 SIGA SOLAR are deep-cycle batteries, which have been optimized for the solar and photovoltaic applications. These solar batteries provide much more charge and discharge cycles than standard supply batteries. They are designed for cycle operation and are primarily due to the leisure, marine / boat and RV areas. With respect to the cyclic resistance, SIGA Solar exceed the requirements laid down in DIN regulations (German industrial standard) of 600 charge and discharge cycles.